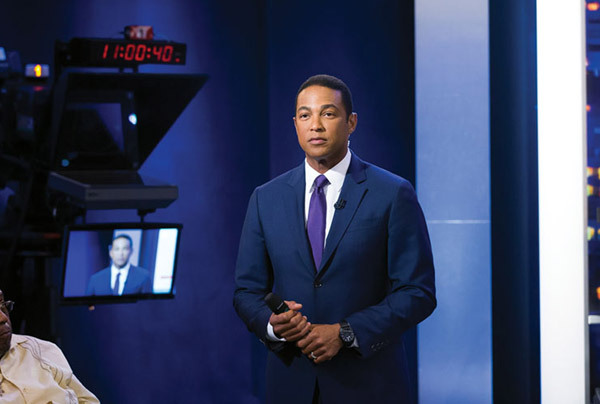 CNN Tonight anchor Don Lemon, who has been criticized by Donald Trump prior to him becoming president, dismissed the president’s recent criticisms against CNN. The Trump team had been reportedly blacklisting CNN, refusing to appear on their Sunday talk show, State of the Union, two weeks in a row, and refusing to send officials to appear across CNN’s programming. But on Wednesday, perhaps the ban was listed, as the deputy assistant to President Trump appeared on The Lead. Sounds like a nice, solid, codependent relationship.